Kapa‘a Elementary School fifth-grade students attending the Safe Routes to School Traffic Safety Program worked their way up to riding predictably through an intersection using signaling and lane positioning. In October, Kapa‘a Elementary School fifth grade teachers Ms. Cole and Ms. Milnes each dedicated six hours of class time to the Safe Routes to School Traffic Safety Program. Bev Brody of Get Fit Kaua‘i coordinated the classes, while Kaua‘i Path’s president Randy Blake and I taught the curriculum developed by the League of American Bicyclists. 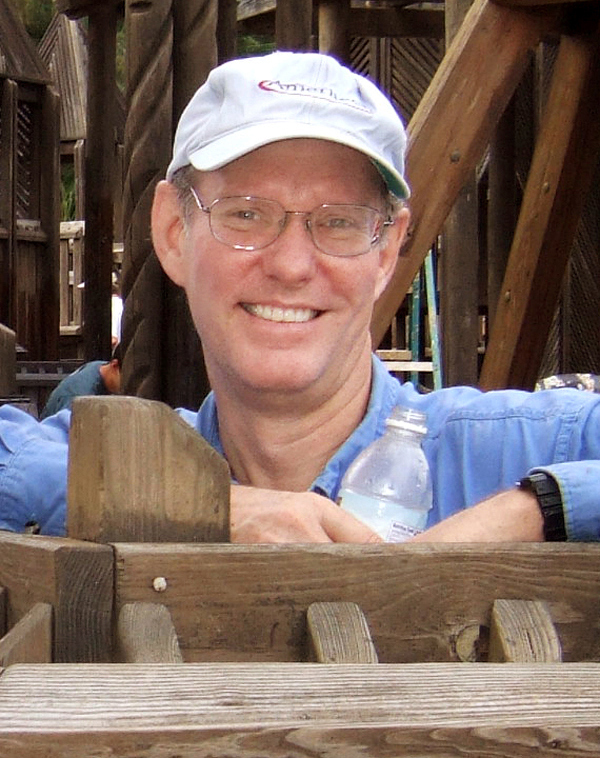 Dr. Blake and I are League Certified Instructors. The main goals of the league’s Safe Routes to School Traffic Safety Program are to increase the safety of youth bicyclists and walkers; increase the number and frequency of children bicycling and walking; and improve the lives of children by improving health, learning capacities, independence and community conditions for bicycling and walking. Next we stressed that anybody riding a bicycle is legally operating a vehicle, and has the same rights and responsibilities as other road users. We thoroughly discussed the basic crash avoidance practices of always being visible, predictable and alert. Several students were uncertain which side of the road the law requires they must ride on, facing oncoming traffic like a pedestrian or moving with the flow of traffic. Now they understand riding with the flow of traffic — on the right side of the road — is legally required and is the safer, more predictable practice. 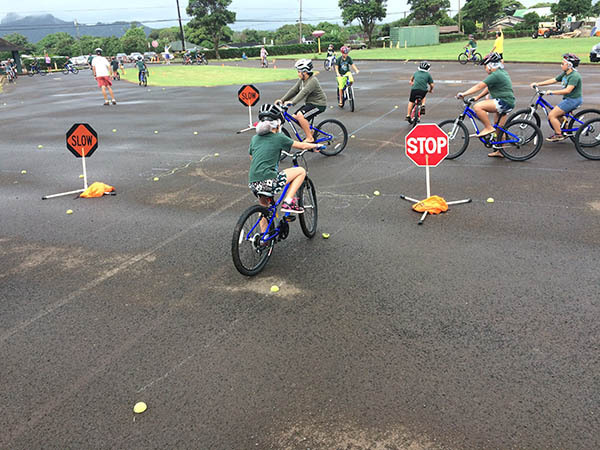 Kaua‘i Path periodically conducts Bicycle Skills for Adults, and recruits graduates to help with the Safe Routes to School Traffic Safety Program. Assisted by trained volunteers Rich McKeever, Tad Miura, Denise Farwell, Eben Manini and Mark Walsh, we unloaded 24 bicycles from the Kaua‘i Path Bike Education van at the school’s paved play area and coached the kids as they progressed through a variety of courses laid out on the pavement. Over three hour-long sessions, the students rode bicycles and practiced the skills necessary to maximize their safety when they are out riding around their neighborhoods. These skills start with basics like controlled stopping and smooth starting, and progress to riding predictably in a straight line, scanning back, avoiding hazards and finally putting all those skills together to confidently negotiate riding through intersections using predictable lane positioning. The culminating parking lot exercise was a “Snail Race,” with five competitors attempting to ride as slowly as possible while balanced on their bikes, staying within a narrow lane chalked on the pavement, and without touching the ground. Kaua‘i Path’s next planned opportunity for an abbreviated youth bicycle skills course will be in collaboration with the Winter Fun 2015 program conducted from Dec. 21 through Jan. 5 by the county Department of Parks and Recreation.